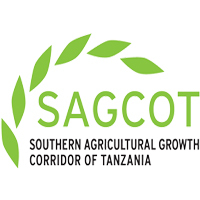 The Southern Agricultural Growth Corridor of Tanzania (SAGCOT) is an international public private partnership that aims to transform agriculture in Tanzania’s Southern Corridor. Partners include local and international companies, farmers, development partners, Civil Society Organizations (CSOS) and the Tanzanian Government. By 2030, the partnership aims to attract USD 3.2 billion of investments, transforming 350,000 hectares of arable land into profitable production and lifting 10,000 small scale farmers into commercial farming. SAGCOT Centre Ltd. functions as the operational hub, promoting investments in inclusive, sustainable commercial value chains. The SAGCOT Centre Ltd. is also a neutral broker and catalyst that links different agriculture stakeholders in order to help achieve major economic growth in Tanzania. Full Time Position: Program Quality and Compliance Manager based in Dar es Salaam. Job Purpose: This function is the core of ensuring smooth grant and programme compliance but also knowledge management. Appointed candidate will work side by side with the M&E specialist in providing guidance and support to the work streams and ensure quality programming and delivery. The role requires effective coordination with others within the organization to identify and address challenges, and to align and streamline procedures and guidance. S/he will also ensure that all staff members are fully informed of relevant reporting deadlines, funder compliance regulations and the SCL procedures. Selected candidate will also work closely with the accounts and finance, operations, and programme staff to ensure that they maintain a high standard of compliance and reporting across the different operational systems. Part of the function will also be the direct support to the Chief Operating Officer in the development and implementation of a knowledge management process for SCL to improve on its current information storing and documentation system. Job Purpose: As a member of the operations team, he/she will contribute in provision of high quality services and support in the operations department and general administrative processes within SAGCOT Centre ensuring service-orientation. He/she will be based in the DAR office and will play an operational and office assistance role by performing a variety of administrative functions of the office. We are looking for an individual who is efficient and comfortable being a member of a team. The ability to multi-task, while maintaining complex schedules and managing administrative support, is essential in this position. The ideal candidate for this job is resourceful, a good problem solver and organized. Assuring a steady completion of workload in a timely manner is key to success in this position. Qualified and Interested candidates are welcome to apply before the deadline of 17th December 2017.Complete job descriptions of these positions can be viewed in the SAGCOT Centre Ltd. website www.sagcot.com/vacancies/ where minimum qualifications and key responsibilities are detailed. Qualified and Interested candidates should attach a cover letter clearly stating which job you are applying for and a copy of your Curriculum Vitae and certified copies of academic certificate.